An amazing year 2013 comes to an end and the team of IMAscore likes to take the opportunity to thank all its clients, partners, supporters and friends from the bottom of their hearts for their trust in our work. At this point we would like to recall the year and take a look back at the most important milestones. IMAscore enjoyed great success in the amusement park industry. Already in 2012 IMAscore started the production of more than 160 minutes of Acoustic Theming for the Dutch theme park Toverland. With the opening of the new theme area, “De Magische Vallei”, the project came to a successful end, with setting new visitor records for the park. Up to that time this was the biggest project IMAscore has ever worked on, but even bigger projects should be yet to come. At the same time the team produced the soundtrack for THE SMILER, the world beating rollercoaster with 14 inversions at the British theme park Alton Towers Resort, and created a melody, which is iconic for the attraction and gets stuck in the head of the guests. Critical in terms of deadline was another project at that time: Movie Park Germany wanted to have a new stunt show for the 2013 season, called “Crazy Cops – The Action Stunt Show”. The team of IMAscore produced the soundtrack in no time, while being accompanied by the German TV channel WDR, which produced a TV report about the work of the composers and sound designers. The team of IMAscore was also a part of some amazing projects in the game industry. The audio production for InnoGames’ top browser game “Grepolis” with over 40 minutes of music and more than 300 sounds was one of them. Music and sounds enriched the gaming experience tremendously. In addition, the team worked on projects like the official game for THE SMILER or the space shooter StingOut. Extensive recordings with the Budapest Film Music Orchestra dominated the summer. At the same time the first collaboration between IMAscore and the nearby London located theme park Chessington World of Adventures began. The result was the soundtrack of “The Mystery of Hocus Pocus Hall”, which was acclaimed by the international fan base. For the first time IMAscore exhibited at the Euro Attraction Show, which took place in Paris this year. The response was tremendous and so the team is looking forward to next year, when the trade show will be held in Amsterdam and IMAscore will exhibit once again. Throughout the whole year, the team worked on a a variety of TV commercials for projects and companies like Pro7 Connect, CD, DefShop, Posterjack, Gettings, Sofalotto, eBook.de, InnoGames and many more. The production of the first episode of the musical radio play for kids, “Mina’s Adventure”, was one of the projects that accompanied the team over the year for many months. Seven songs in German and English, extensive scoring and detailed sound design make the radio play, which is also available as an interactive app – also with music and sounds of IMAscore – to one of the most impressive and elaborate productions of its kind. Towards the end of the year there was another highlight: IMAscore was awarded with the Gründerpreis NRW 2013 (Founder’s Award NRW 2013) and also with the audience award. The awards were led by Garrelt Duin, Minister for Economics, Energy, Industry, Mid Tier and Trade of the German federal state North Rhine-Westphalia and Dietmar P. Bonkowska, chairman of the board of NRW.BANK. A great honor and recognition for the business achievements of the team. 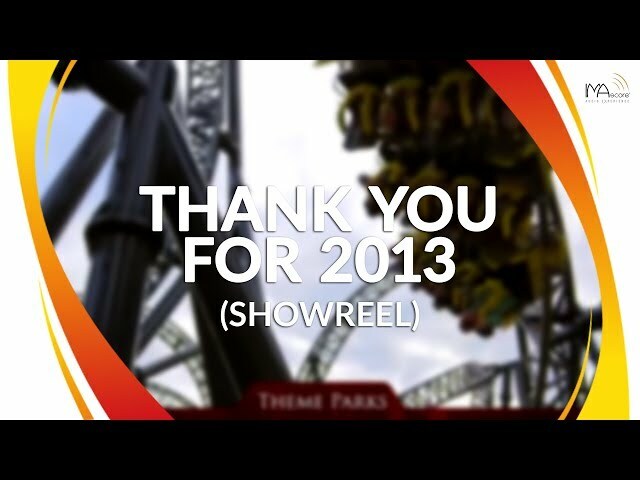 First announcements for 2014, like the extensive involvement of IMAscore in the huge rollercoaster project “Helix” at the amusement park Liseberg, already set the course for 2014. But this is just one of many projects for the next season on which IMAscore is already working since a few months. Big announcements will follow very soon! Finally IMAscore wishes everyone a Merry Christmas, a Happy New Year and of course a successful year 2014, with many positive surprises and exciting developments for all of us!